In the upcoming weeks Sportyjob will launch its Sports & Education service, which aims to present all Universities and Schools that offer sports related education programs. Universities and Schools will have the possibility to present their education program in detail and being listed in a special directory which allows students to browse and search for degree programs across Europe. The Sportyjob University & School directory is a planned overview with all details for soon-to-be students searching for the right tuition. Present your university & school to possible students around the world. 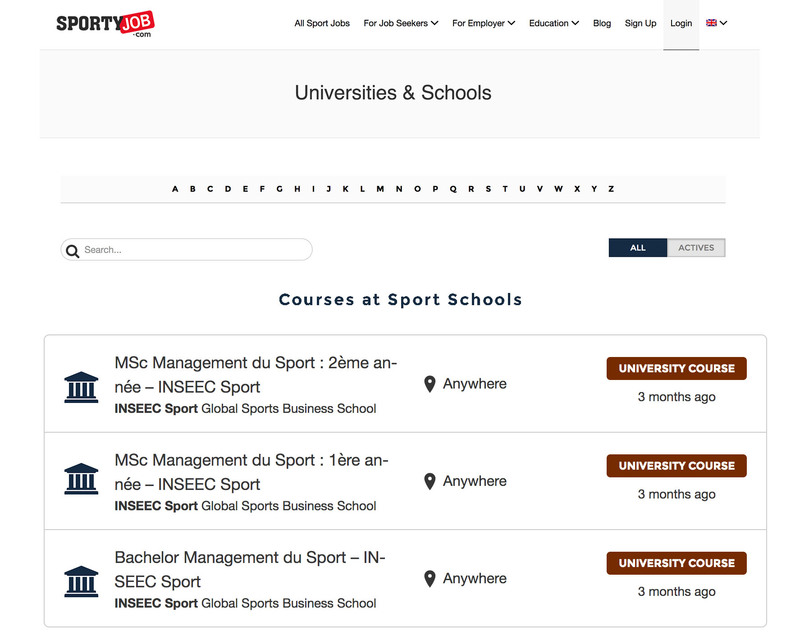 On Sportyjob we create a directory for sport related courses of studies and the associated schools. This way, students have the option to find the perfect school for their interests – and this could be yours! Use our university & private school overview to give detailed information about your profile, history, contacts and conditions. Moreover, our course directory will list your sport related courses to help students find all necessary information. The years at university and in school prepare young people for their future. However, the responsibility of the school doesn’t have to be limited to teaching them skills they will need for a job. For their future path, you can be also be a guide to possible careers in the sports industry, either internships or full time jobs after graduation. A task which we would like to support. 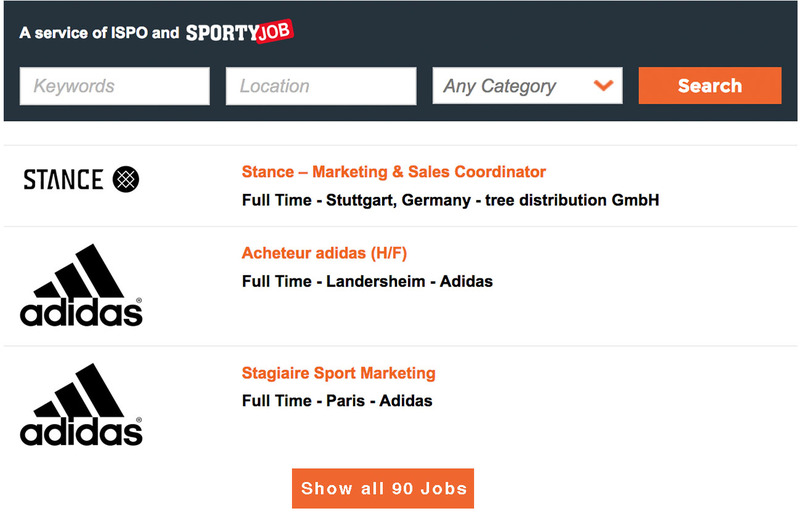 With our job ticker, you can easily inform your students about career possibilities in the sports industry. Not only will it show all possible jobs and internships, but it stays up to date automatically. This way, you’ll save the time of maintaining any listings and keep track of the availability. Please send us a request if you’re interested in implementing the ticker on your website – we’ll individualize the code regarding your design.